The 01 Elite Girls score a 2-0 win over CUP Gold 01/02! 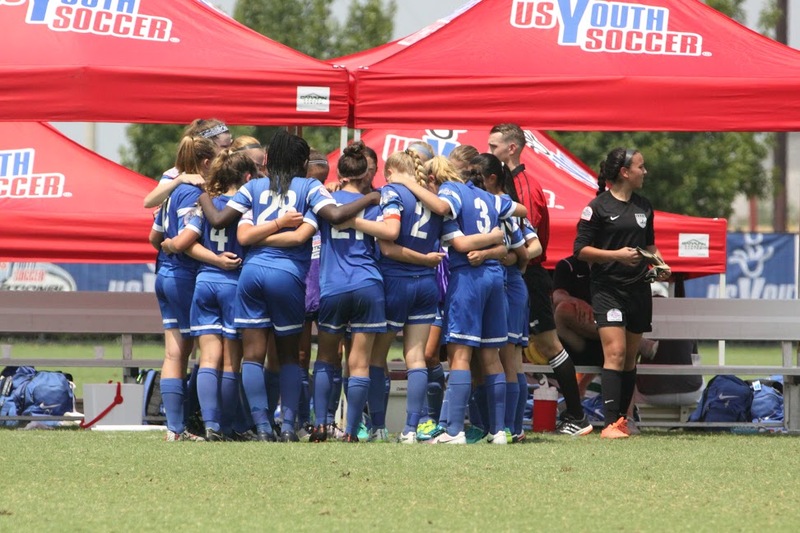 The BRYC 01 Elite Girls scored their first victory in the US Youth Soccer National Championships! With a decisive 2-0 win over their opponents, CUP Gold 01/02, the Elite now sits at the top of their group. But the games aren't over with yet. The girls will be facing off against the Florida Elite 01/02 tomorrow at 8:30am EST! Remember to cheer them on as they fight for their second victory in the tournament!